We are delighted to share with you a series of collections of recent books, themed issues and articles on the topic of water. These four collections – one per month – demonstrate different aspects of water: its chemistry, its wide use in reactions and as a solvent, its relationship with energy and sustainability, as well as with human health and the environment. Here, in our third collection, we have assembled some of the groundbreaking research and transformative reviews related to water and energy – focussing on the relevance of water in dealing with the challenge of energy production and sustainability – from across our journals. You can read all of these articles for free until 11 May 2014! We truly hope you enjoy this collection. We have already published our collections on the Chemistry of water and Chemistry in water. 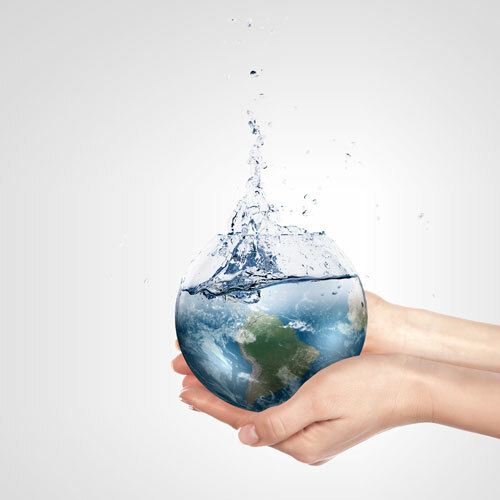 Next month, watch out for our final collection on water in health and the environment. 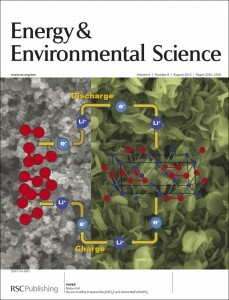 Energy & Environmental Science is delighted to present its current issue which includes an excellent collection of articles on the theme of “New energy storage devices for post lithium-ion batteries”, Guest Edited by Haoshen Zhou. Read his Editorial to find out more. The outside front cover features a perspective article “Mg rechargeable batteries: an on-going challenge” by Hyun Deog Yoo, Ivgeni Shterenberg, Yosef Gofer, Gregory Gershinsky, Nir Pour and Doron Aurbach. Keep up to date with our latest news: sign up for our e-alerts and follow us on Facebook and Twitter. Energy & Environmental Science is delighted to announce that Professor Mercouri G. Kanatzidis of Northwestern University, USA has joined the Advisory Board of the journal. Professor Kanatzidis’ research covers the design, synthesis, synthetic methodology, in-depth characterization, manipulation and potential applications of new substances with novel chemical, physical, or electrical properties. The work includes the solid state chemistry of chalcogenides, gamma ray detector materials, new thermoelectric materials, non-oxidic solids with open-framework structures, intermetallics from molten Al, Ga and In and redox active chalcogels. Prof. Kanatzidis’ papers are part of our Energy & Environmental Science themed web collection on thermoelectrics. Check out the whole collection. Keep up to date with our latest articles and news: sign up to receive our free EES table of contents e-alerts. 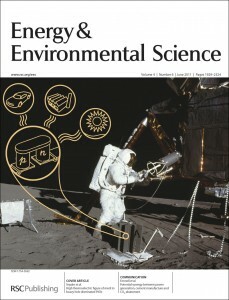 We would like to share with you a selection of high impact articles, published in Energy & Environmental Science covering a wide range of thermoelectrics research. On behalf of Editor-in-Chief Nate Lewis (Caltech), we invite you to submit your best research to Energy & Environmental Science. With an Impact Factor of 9.61 and ranked #1 in its field, Energy & Environmental Science is the ideal place to publish your research. You can find even more great thermoelectric research in our Energy & Environmental Science thermoelectrics web collection. Proton-Coupled Electron Transfer themed issue 7 now online! 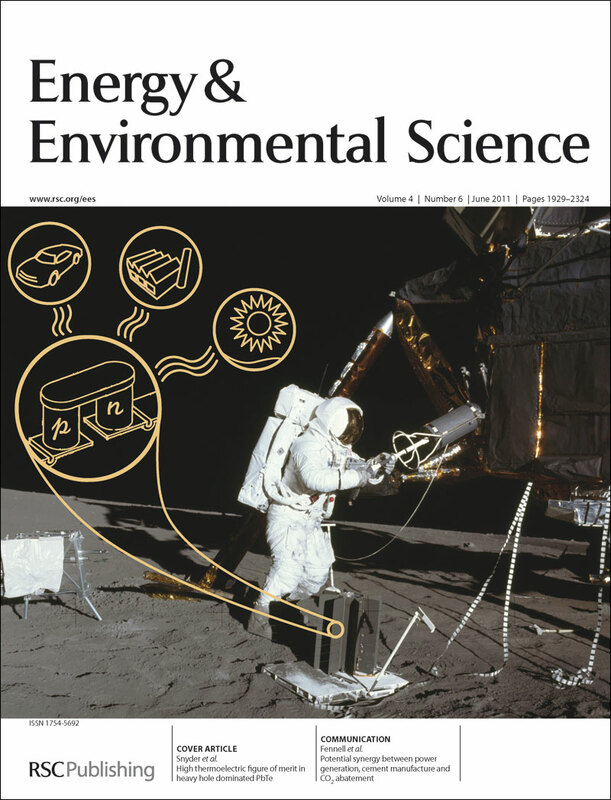 Energy & Environmental Science’s issue 7 is now online and includes a collection of articles on the theme of Proton-Coupled Electron Transfer, Guest Edited by Marc Robert and Dr Elodie Anxolabéhère-Mallart (Université Paris Diderot). You can read the full themed issue here. The outside front cover features a Communication on the Pyrolytic conversion of cellulose to fuels: levoglucosan deoxygenation via elimination and cyclization within molten biomass by Matthew S. Mettler, Alex D. Paulsen, Dionisios G. Vlachos and Paul J. Dauenhauer. Towards solution processed all-carbon solar cells: a perspective is the Perspective highlighted on the inside front cover by Vincent C. Tung, Jen-Hsien Huang, Jaemyung Kim, Alexander J. Smith, Chih-Wei Chu and Jiaxing Huang. Following the successful partnership with SuNEC 2011, EES will publish manuscripts originating from the SuNEC 2012 meeting to be held on September 4-6, 2012 in Sicily, Italy. 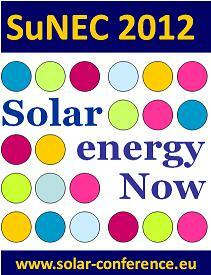 Delegates are encouraged to submit their work to EES — whose Abstract will be submitted to SuNEC 2012 for oral or poster presentation — submission deadline is 30 September 2012. Manuscripts can be submitted (in almost any electronic format and reasonable layout) through the EES online submission service. See Author Guidelines for more information. All articles will be subject to rigorous peer-review according to the journal’s usual standards – if accepted, they well receive great exposure, and will get significant promotion. Submit your best work to EES today! The outside front cover features an article on The cross-scale science of CO2 capture and storage: from pore scale to regional scale by Richard S. Middleton and colleagues. We are delighted to announce a high-profile themed issue of Energy & Environmental Science on CO2with Guest Editor Professor Frederik Krebs. Submit a research article today! 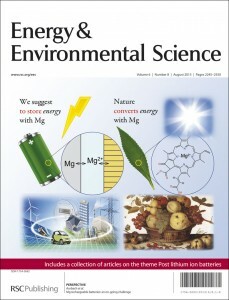 The special issue is to be published in Energy & Environmental Science in early 2012. Its aim is to produce a landmark snapshot of research activity, bringing together all the different communities working on CO2; from fundamental experimental, mechanistic and theoretical studies at the molecular level, including “solar fuels” research into CO2 reduction, through materials for CO2 adsorption and separation to system-level studies of CCS, sustainability, ocean acidification and analysis of CO2 emission. As a true community-spanning journal, Energy & Environmental Science is the ideal home for this collection. The journal has a world-class reputation for quality. The newly-released Impact Factor is 9.45, ranking it as #1 of 192 journals in its ISI subject category. Further information can be found at www.rsc.org/ees.